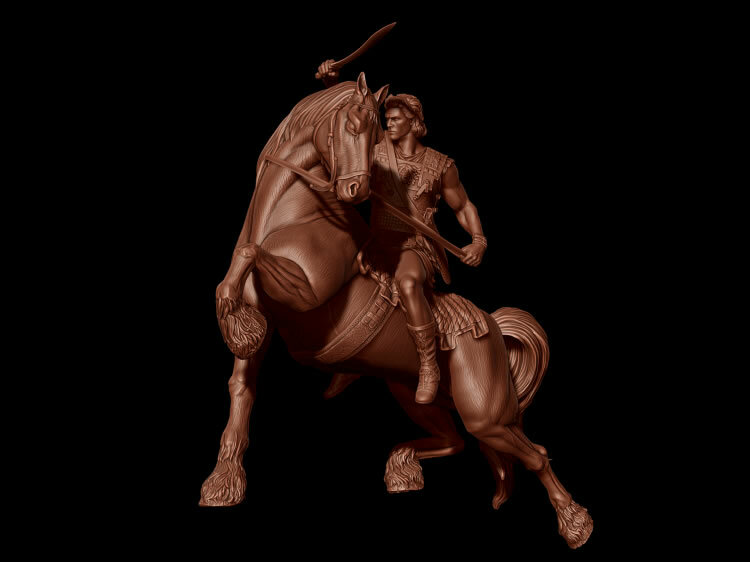 Alexander the great Turntable 1 this piece was inspired by 19th century french and italian statues, i wanted to stay really classical in my approach, dynamesh was heavily used on the horse as i changed the pose and his proportions a lot. other than that it was a pretty straight forward sculpt. ARTIST PROFILE I work in the video game industry, currently as a character artist at Insomniac Games. On the side I do 3D sculpture work for ARH Studios and teach private ZBrush training. Email: fleuret.m@gmail.com Website: http://mfleuret.blogspot.com/ THOUGHTS ON ZBRUSH Not much to say, it's an amazing tool.